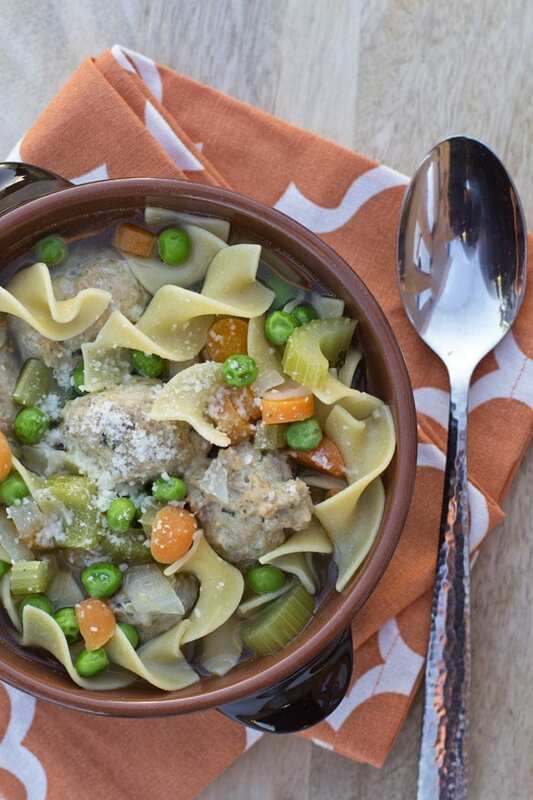 Today’s Turkey Meatball Soup is a perfect hot meal that is super kid friendly. 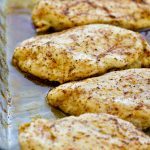 It’s a perfect meal to help you start teaching your kids to cook, too! I grew up cooking and baking along side my parents, grandma and cousins. That’s where my love of cooking began. 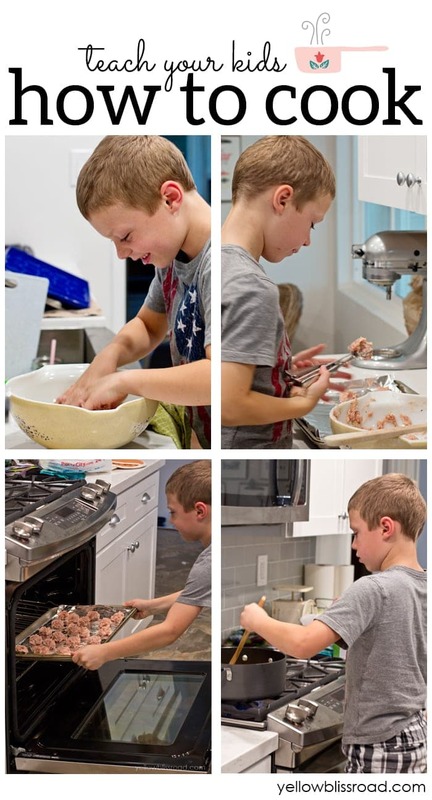 My kids have always loved to help with cookie baking (and eating of course!) but how do you know when it’s the right time to start really teaching them how to cook? The other day my seven year old son was watching a cooking show with me – we love CHOPPED! This particular episode had fourth and fifth graders and my son asked me how old he needed to be to do what they were doing. I saw this as the perfect teachable opportunity and took my son into the kitchen where we proceeded to cook a meal from start to finish. 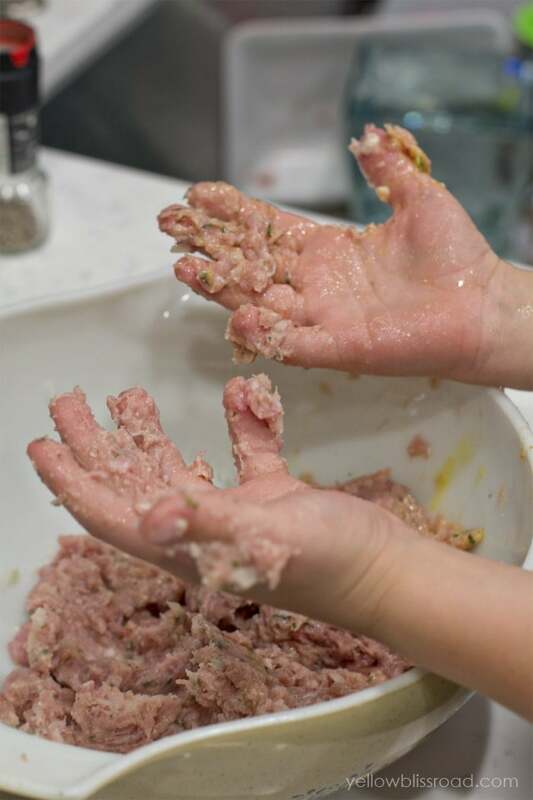 It was such fun to watch his expressions as he experienced new things, like mashing ground turkey with his hands. He took the process very seriously, which really impressed me. 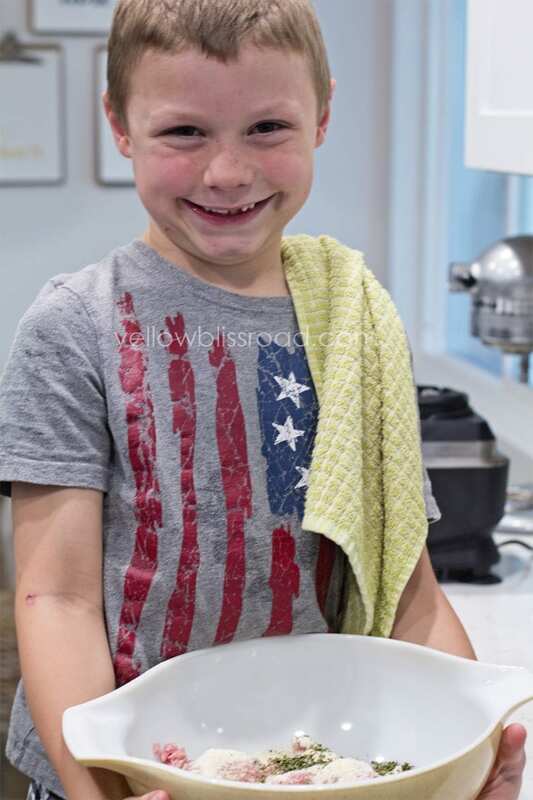 Here was my bug-loving, dirt-loving son, with his hands a different kind of messy, excited about the opportunity to cook a meal for our family. It was a proud mommy moment! 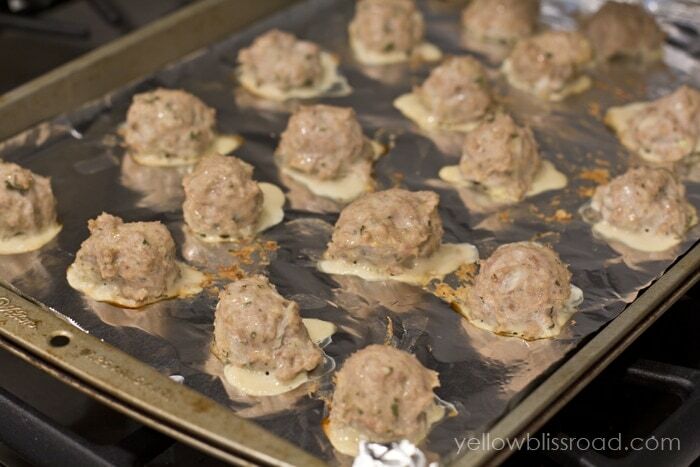 Meatballs are actually really easy to make. 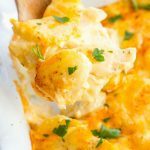 We just measured a few ingredients – Parmesan Cheese, onion and an egg, plus the seasonings and then he mashed it all up. 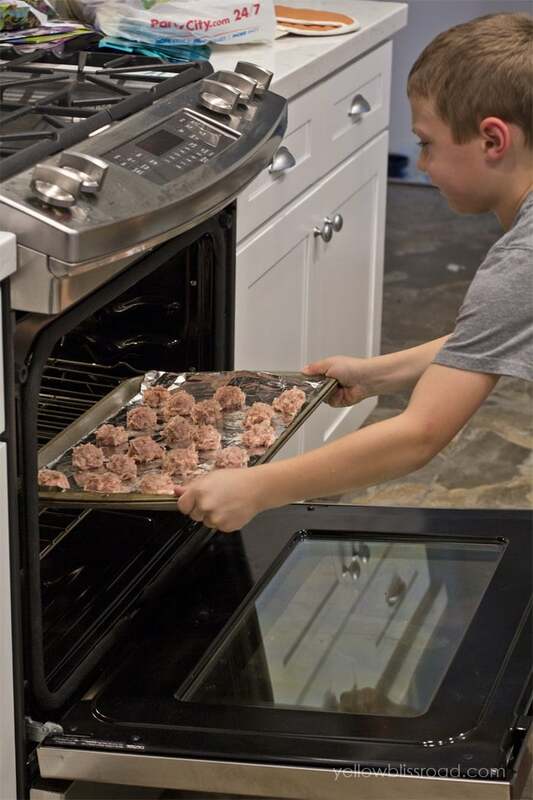 Then he scooped the meat using a cookie scoop onto a foil lined cookie sheet. While the meatballs were baking, it was time to start the soup. I chopped up the onions, carrots and celery with a sharp knife. Then my son added them to a large soup pot on the stove that was already hot and coated with olive oil. 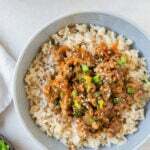 He carefully stirred the vegetables as they cooked. Then slowly poured in the rest of the soup ingredients. 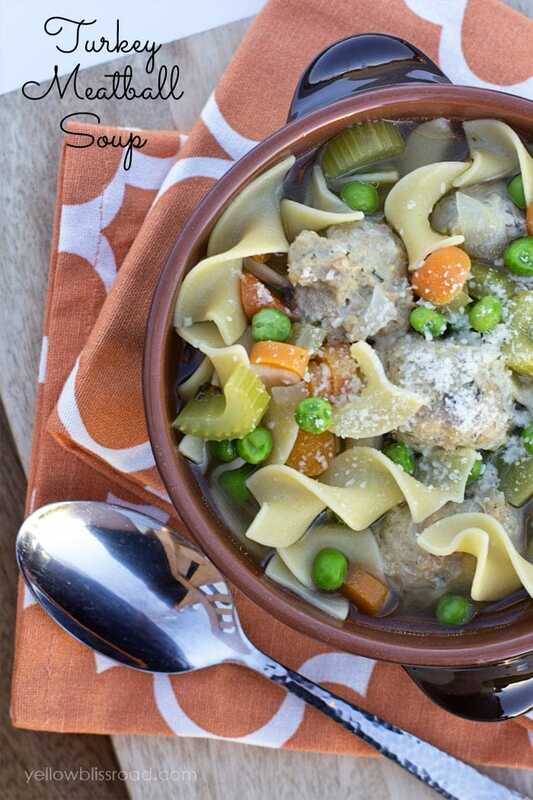 We added the meatballs and noodles to the soup. There was a lot of waiting while things cooked at this point, so we washed a few dishes to keep him occupied. When the soup was ready to serve, my son divided it into bowls for his sister and me, and even served us at the table complete with drinks. He even sprinkled Parmesan Cheese on top. 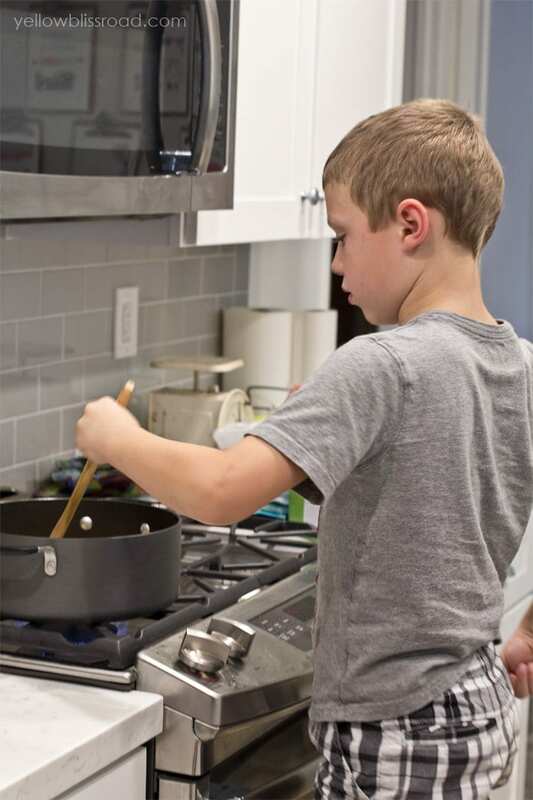 Kids who are taught how to cook learn life skills, self confidence, pride in their work and also how to care for others. All of these things are invaluable. 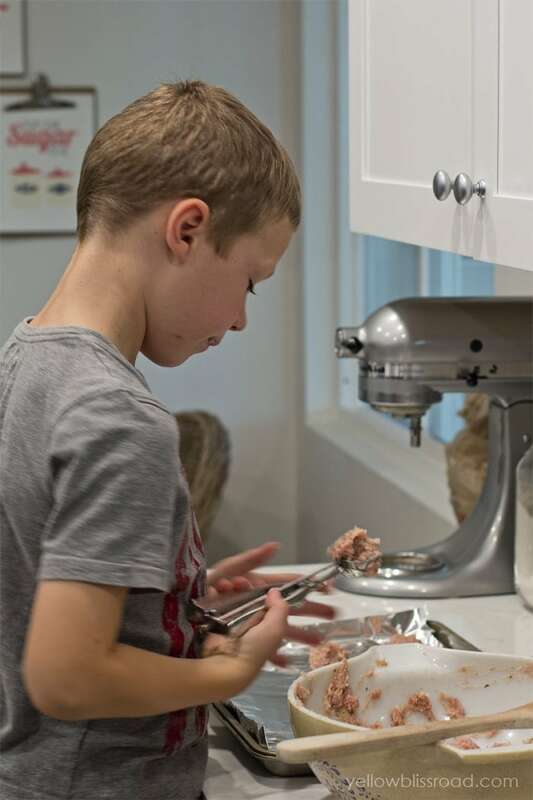 There is science and math in the measuring and in the combining of ingredient, and social skills as we learn that preparing a meal shows how we care for another. But how do you know when your kids are ready? And what are they able to do? I am a firm believer that only you can answer those questions. I could give you a bunch of age ranges and suggestions, but really, no one knows your child and their abilities better than you, and every child is different. 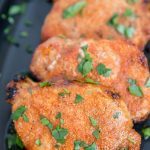 Here are a few recipes that my kids, at six and seven, are able to help with. 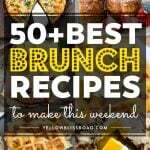 I think that even a four year old could help with parts of these recipes. 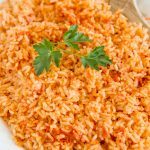 Cooking isn’t just standing at the stove; there are several steps, from opening cans, to cutting vegetables, to measuring ingredients, to stirring, to serving. There’s also preparing – reading a recipe and purchasing supplies. All of these are things you can teach your kids. Think about your comfort level, and what you think your kids are able to do, then invite them to jump in! 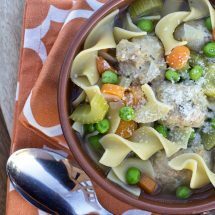 To get you started, here is my Turkey Meatball Soup Recipe, that is sure to be a favorite of your family like it is mine. 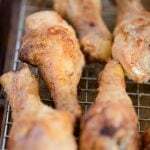 Preheat oven to 400 degres F. Line a large rimmed baking sheet with foil and set aside. Combine all of the meatball ingredients with your hands (or a wooden spoon if you prefer) until well combined. 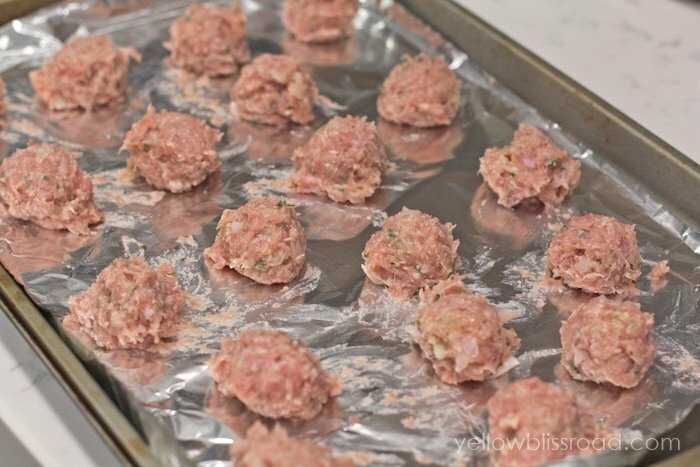 Shape meat mixture into 1-2 inch balls using a cookie scoop (if available) and place on the prepared baking sheet. They can be close together as they won't spread. Bake for 14 minutes in a 400 degree oven. In a 5-quart pot, heat olive oil over medium-high heat. 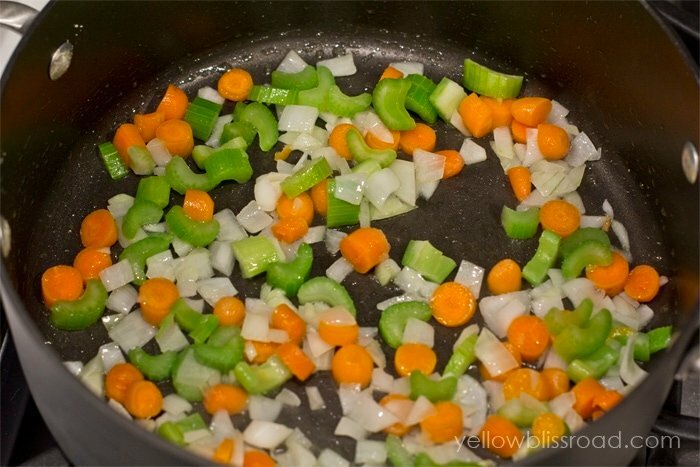 Add chopped onion, carrots and celery and cook, stirring often, until softened; about 6 minutes. Stir in salt, pepper, dried thym and dried parsley. Pour in chicken broth; stir to combine and bring to a boil. Reduce heat, cover and simmer for about 10-15 minutes. Meanwhile, cook egg noodles according to package instructions. Drain and set aside. 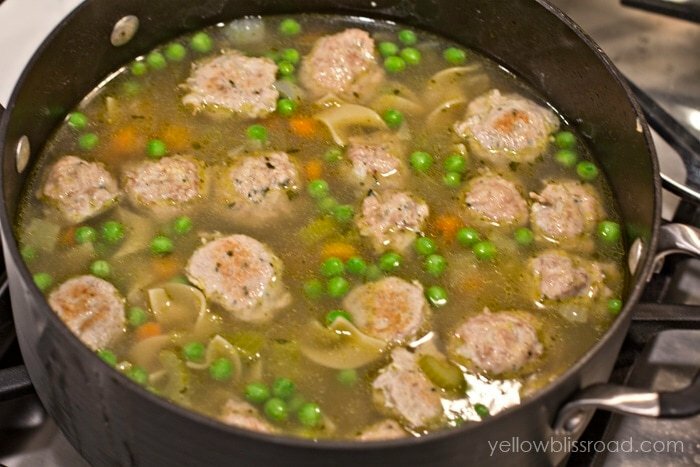 Add meatballs, peas and cooked egg noodles to the pot and simmer until soup is heated through. 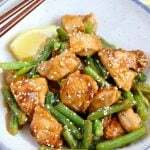 For more delicious main dishes, go HERE. You are so sweet, thank you so much!! I made this soup twice already, so good! Soup looks delish! And Copper looks so cute!